This entertainment park opened its doors in 1969 under the name Kulturpark Plänterwald right next to the Spree river. It was the only constant entertainment park in the GDR, and the only such park in either East or West Berlin. Under the Spreepark GmbH in 1991 some new attractions were added and visitor numbers reached 1.5 million per annum. Later the concept was changed and the park was gradually transformed into a more Western-style amusement park. Entrance fee: adults: 29 DM, children: 27 DM. Since 1999 the park has had to cope with large debts. The increase in the admission fee to 30 DM per person and a lack of parking space contributed to a drop in visitor numbers until in 2001 only 400,000 visitors entered the park. 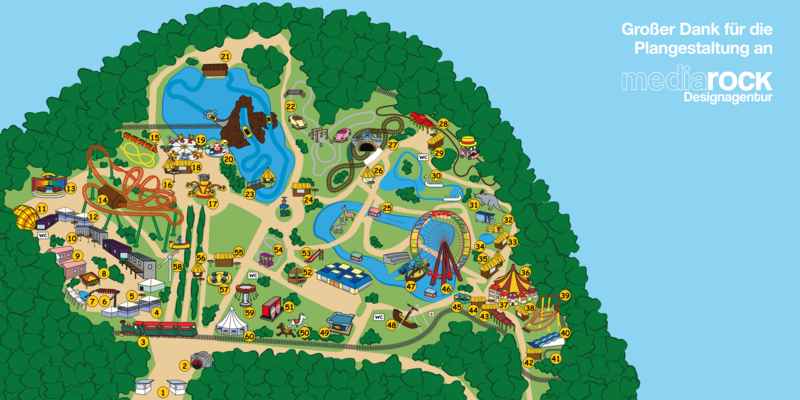 In 2001 Spreepark GmbH announced that they were insolvent, which led to the closure of the site in 2002. On route to Poland from Belgium we crossed Germany, the holy grail for urban exploration. Simply put because of its long and exiting history. Although not all of it is positive but as an urban explorer does love to explore such impressive places it is a real adventure to dig in history and do research about it and see it with their own eyes. Same for this abandoned theme park, there’s little known about its history although they still have a website spreepark.de. After we got in we stumbled upon the Santa Fe Express, located close to the main entrance of the park. A pity this train had to suffer like this, despite all the years it still looked like a decent train. A little bit paint and you’re all set. Its track was long and exciting, running close near the fence and later passing the water rapids called Grand Canyon while going through a curvy tunnel. Then there was the Spreeblitz roller coaster… Ready for take off at the launch pad. A funny selfie taken on the last seat of the cart made the scene complete. We were having a lot of fun!